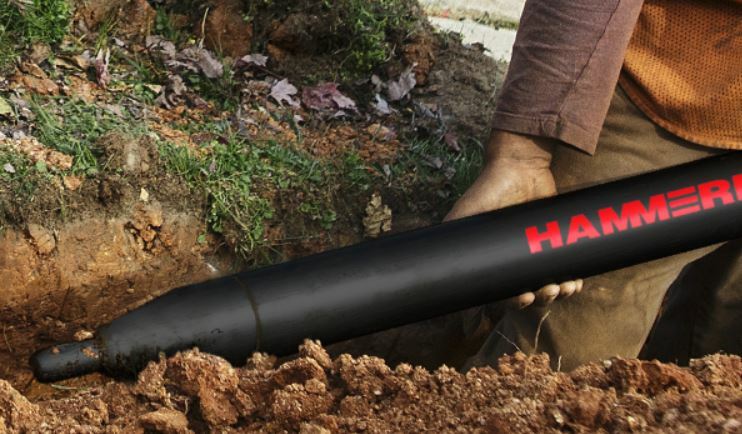 The HammerHead® standard piercing tools are ideal for regular and soft soils. The ability to easily change the replaceable head leads to longer tool body life. Standard piercing tools are available in 2” (50 mm) to 8” (200 mm) models. Wear rings eliminate metal to metal contact decreasing wear and offering a sustained level of performance. Made of a specially designed composite, these rings offer a very low coefficient of friction and have a higher abrasion resistance compared to Teflon® rings used in competitive tools. Don't settle for imitations. This original and field tested design provides for fast and easy field maintenance, the hallmark of the entire HammerHead Mole piercing tool line. Provides 200% more clamp load and is the most secure and proven assembly available. Protect your investment with two year limited warranty protection on HammerHead Mole® piercing tools compared to just 90 days with the leading competitor. Designed to eliminate the introduction of debris into the tool body, increasing overall production and tool life. This patented quarter-turn reverse feature pneumatically locks the tool into forward or reverse gear, preventing accidental direction change during the bore. The valve whip is designed to be flexible, preventing tool if a bore collapse occurs. This option offers flexible control of the tool and has a neutral position for easy locating. © The Papé Group, Inc. All rights reserved. Papé® is a registered trademark of The Papé Group, Inc. Fill out this form to request a quote. A representative will get in touch with you as soon as possible. First Name* This field is required. Last Name* This field is required. Your Email* This field is required. Zipcode* This field is required. There are some errors in your form. Fill out our request form to contact us about service. Fill out our request form to contact us about parts. Fill out our request form to contact us about rentals. Fill out our request form to contact us about precision ag technology. Fill out our contact form and a representative will be back in touch with you soon. We'd love to hear your feedback! Please fill out the form below to share. Fill out this form to get in contact with our body shop. A representative will get in touch with you as soon as possible. Phone Number* This field is required. Are you currently working with an insurance company? If so, provide the company and claim number. Unable to set preferred store.